I received an odd email from our bank on Monday, opening with this: "We have some bad news to share. PerkStreet Financial will be closing permanently and ceasing all business operations as of September 26, 2013." Well, then. This is not the first time my wife and I have dealt with our bank going out of business. Our last brick and mortar bank in California, Washington Mutual (affectionately nicknamed "WaMu") shuttered its windows during the financial crisis in 2008. It freaked us out a bit as we didn't really know what that meant for the money we had in our accounts. Would it just go away? Would we be reliving those scenes from the 30's and make a run on the bank? Would we farm the earth like the Joads? Everything worked out, but the bank still closed and now, with Perkstreet, we are two for two. So, this is fair warning to any institution unlucky enough to service our next checking account: my wife and I are on a streak. If we apply for an account, you should probably apply for a new job. As a new customer of Perkstreets, I was a huge fan. They were like a bank from 20 years ago: everything was free. Free checking, free checks, free ATMs, and, since there was no bank to walk into, free UPS overnight delivery of checks to deposit. I loved Perkstreet. I'd actually tell friends and co-workers about our rad new bank. Plus, we'd get 2% back for all purchases...on a debit card! As long as we kept $5,000 in the checking account, and ran our card as "credit", we get 2% cash rewards on every purchase. Our emergency fund wasn't earning much of anything in a savings account, so we were happy to park some funds in checking to get the rewards. While credit cards definitely could get us more in rotating categories, and even the Fidelity Amex card gave the same 2%, we just liked the simplicity of knowing that 2% was our floor. And since the debit card was a Mastercard, it was accepted just about everywhere, while the stray merchant here or there still refused Amex. The main thing I miss about using the Perkstreet card for everything was the simplicity. All our purchases, from checks to account transfers, utility bills to card swipes, all were tracked in the same place. No more logging into various accounts to track spending. I could pull up one account, and track every penny. Easy peasy, lemon squeezy. But I had a feeling Perkstreet might be in a bit of trouble last year when they abruptly ended their 2% cash back program. They tried re-branding it a bit, by giving 2% at Amazon & Target, & 5% on rotating monthly categories. But if I was going to jump through hoops, I figured we could do better on reward credit cards. So we shifted all our spending to credit cards we were churning, and just used Perkstreet as a normal old checking account to actually pay the credit card bills and write the occasional check. "Consistent with the terms of our Rewards Program Agreement, we have discontinued our perks program and cancelled all perks balances as of today, August 12, 2013. Redemptions requested prior to August 12, 2013 will processed in accordance with your request." So unless you were clairvoyant and knew that Perkstreet was going to go out of business, you lost any rewards you had been building up the moment the company announced its closure. Luckily, this won't impact the Done by Forty household as we don't use the Perkstreet card any longer. (I think we had $8 dollars in rewards left.) But as someone who used to funnel a lot of spending through the accounts, I can say that it's likely that a lot of their customers weren't building up a small balance and then cashing it in asap. Instead of applying their cash back rewards to your checking account (which would be entirely too easy) Perkstreet sent out little prepaid Mastercards. The smallest denomination was $20 or so. But if you're driving all your spending to these cards, it's likely that you'll get them pretty regularly. It's kind of a pain to have a lot of small-dollar prepaid cards in your wallet, one with $5.63 left, one with $8.57 left, etc. Better to build up a bit of a balance over time and just have, say, one $100 card sent out to you, right? At least that's what I tried to do when I was a customer. "We wish there was another option but, unfortunately, we didn’t have any other choice. We worked to find funding sources or potential acquirers for the business, but business conditions required that we end the program. The terms and conditions of the program allow for the program to be ended at any time." Thanks a lot, buddy. I'd like to think that Perkstreet saw the writing on the wall early enough to give their customers some notice...any notice. And I'd also like to think that leadership at a company would think a bit harder about the legacy left, even when things go to the crapper. But it's all done now. It seems we can just let our account transfer to a partner bank (The Bankcorp Bank) and, apparently, our checks & even the debit card will still work. But I'd just as soon find another place to park our money, just on principle. Plus, my wife will be abroad for a long while and we don't want to learn that she can't take money out of an ATM past September 26th. Any suggestions? Do you have an online bank that you would recommend? Ought we consider a credit union? Or should we leave everything well enough alone and keep our account where it is? *Photo is from timetrax23 at Flickr Creative Commons. Thanks for the perspective, C. Compared to what happened with banking in Cyprus, this is a walk in the park. For everyday use, we use a nationwide bank and a credit union that we've never seen in person. It feels like a good balance of convenience, no fees for normal use, easy to access, and low/high interest rates in the areas we want them. I've heard good things about Ally. We use Capital One 360 for savings, but it pays less interest than Ally, it seems. This might be a good time to check out alternatives for savings, too. I can't believe they are going out of business. I have been seriously considering switching to them. This kind of boggles my mind that a bank so highly known and endorsed is going out of business on such short notice. I use formerly ING direct, Now Capital One for my savings and a brick and mortar bank for my checking. I don't really think either one are anything to brag about. Yeah, we first heard about Perkstreet with Dave Ramsey and usually I feel he only endorses pretty solid companies. I think they really aligned well with his no-credit card approach, but I was surprised to find out that they were never self-sustaining. 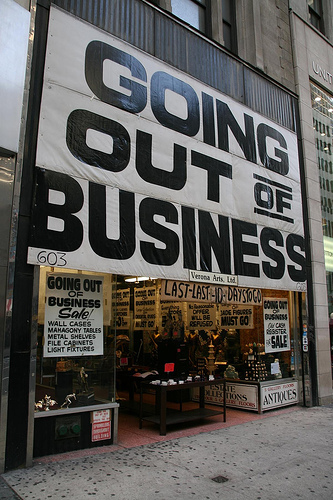 I am totally surprised to hear that Perkstreet is closing their business operations. I use First National Bank for my savings and as of now, things are going smooth. I was really surprised, too. I took a look at their twitter account and it seems all their customers were caught unaware. I've been using Fidelity for several years and loved them. The Fidelity Amex is great too (their Visa gets 1.5% back too). We have savings accounts with Ally and they've been great as well. Sorry to hear about Perkstreet. Hope you guys find an easy solution. Huh, I didn't even know Fidelity offered a checking option but I took a brief look at the overview and it looks like a good fit. Is it the Cash Management Account that you have? CHarles Schwab. Online bank, no minimums, no fees ever, app to deposit checks or you can mail them in (they give you envelopes that are prepaid so it doesn't cost you even a stamp), and you can use any ATM in the world and they reimburse you the ATM fees. Hi, Rebel Spy! I'm glad you stopped by. I'll definitely check out Charles Schwab as well - the ATM fee reimbursement seems like a great feature. If your wife is going abroad, I would switch to Schwab checking. They refund ATM fees anywhere in the world. I have accounts with a local credit union that is pretty awesome, Ally, ING (now Capital One 360), and Schwab. I used to use the rewards checking account my credit union offered (almost 2% interest on a balance up to $10,000 with a certain number of debit card transactions), but I've stopped in favor of just using the 2% Fidelity Amex to keep things simpler. If I was to start over, I would probably use the Schwab account as my primary checking, but this still has no fees so it is just fine. Thanks for all the recommendations. I'll do a little bake-off between my local options and some free online ones, like Schwab and Fidelity. Though I'm especially interested in Schwab's international ATM fee refund. Love CapitalOne360. Best customer service I've gotten at any bank and fees are practically nonexistent. Do they also offer a checking option? I'll have to look into that. Thanks! I'm a huge fan of credit unions, you can usually get some great perks like local small banks since neither has shareholders to please. One credit union I'm with now partnered up with Geico for auto insurance so now I save $70 on my 6 month premium just for banking with them. Hi Micro. That's a pretty sweet discount, because it's recurring. That's $140 a year, every year. Well done. I'm not in your hood, so my recommendations aren't useful. Interestingly, it does sound 'too good to be true'. We're lucky to not really have any bank fold in Australia, I'm not sure if it's regulators or what, but they all stand the test of time. I had about 6 banks on the go for a while, I think I've trimmed one or two down of late, but still, I balance my exposure (mainly with all their different perks). I bet there was no warning, cause warning = fire sale = more debt... Sad but true I think! I think you're right, Sarah. Had they mentioned this to their customers, they'd be in an even worse financial state. I wish I could give you a place that works online but I use a place most people hate BOA. I like them but I don't know if they are who/what you are looking for. You really need to make sure things are in order for your wife since she will be abroad for awhile. Perkstreet stated they we financially sound but something about money for growth. I saw it on Bargaineering a few days ago. I've never tried Bank of America but I'd like to possibly stay with an online bank or a credit union. As for Perkstreet, I'm not sure how financially sound they actually were...but who knows. They're not being entirely forthcoming with information. I had heard a lot about perkstreet but never did business with them. I've used the same bank since I was a kid so I'm probably not the right person to give an opinion on this haha. No worries. I think it's good to have stability with a bank. I think it's so weird that they're going out of business. How does that even happen? I read on their site that Perkstreet was trying to find funding sources or someone to acquire the business. So I think they didn't bring in enough revenue from the merchant fees to cover their expenses & rewards, as they never really charge their customers. But that's just my guess. I'm a big credit union fan, myself. Although I haven't really gotten on the rewards bandwagon and feel a little dumb for leaving money on the table. I might have to jump on board. If I could at least pay my mortgage with the credit card, I'd be getting some sweet rewards. I've always wanted to be able to pay the mortgage with the credit card, but often there are fees with doing so that cost more than the rewards earned. Man, that blows that they didn't even give a grace period for the rewards points! I just use a 'standard' bank for checking and an online one for my savings account. No rewards on the former, but it's been around and what my family's used since I was a little one so I just haven't really strayed from it. Yeah, for a bank that claimed to be so different from others, they pulled a move that I doubt many of the big banks would try. I like that others have been staying with the same bank for generations. We haven't been that lucky, but hopefully the bank that gets our next checking account will stick around! I use Capital One 360 for savings and mortgage payments (since the money sits in the account all month), and PNC Bank for everything else. If you do it right, there are no fees and some perks, but you're not going to get the same return as an online bank. The Fidelity Cash Management Account looks pretty sweet, but the inertial factor has kept us from moving to it. Back in Pittsburgh I used to bank with PNC...I miss that bank. They were great. I think the Fidelity option looks good as well, and I hear you on the inertia. It's a pain to change direct deposits, checks, automatic billings...if we didn't have this kick in the pants we probably would just stay put. We've had all sorts of problems with banks in the UK in recent years. They loaned too much money out to the public for 100% mortgages and other credit facilities and many ended up going under when the economy took a downturn. I can see why some people hoard their cash under the floorboards! I've wanted to try Simple but haven't given it a to yet. Simple does seem like a good option from that video but I wish there was more information available initially. If anyone can get a USAA account, they are amazing. They refund all of your ATM fees, you can deposit with iPhone or scanner for free, I've never paid a fee or any kind. No min balance or anything. You can also make deposits at UPS stores. Their customer service is legendary. Their car insurance is also cheaper than anywhere else I've shopped and every Jan, I get my rates quotes again just to be sure. The drawback? You have to be a veteran or have a parent who was a veteran/mil member. Hmmm, I hadn't considered USAA. My grandfather served in WWII so maybe that might count?